The first Mass celebrated by Our Lady of Grace parish in Encino was held in the packing room of Canoga Farms on Ventura Boulevard. It was conducted by a discalced Carmelite priest Father Patrick Collins. 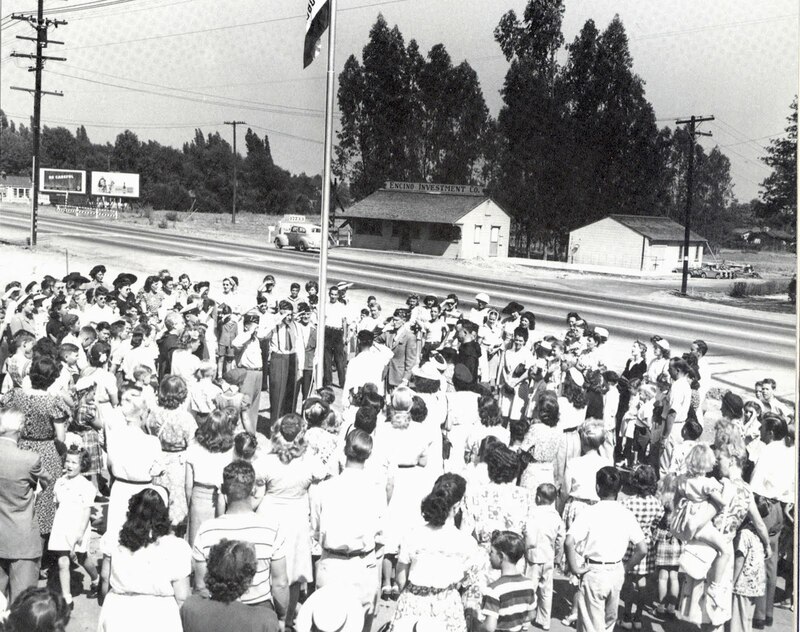 This ceremony dedicating the American flag was probably held in September of 1947 with the opening of the Carmelite Catholic school there.